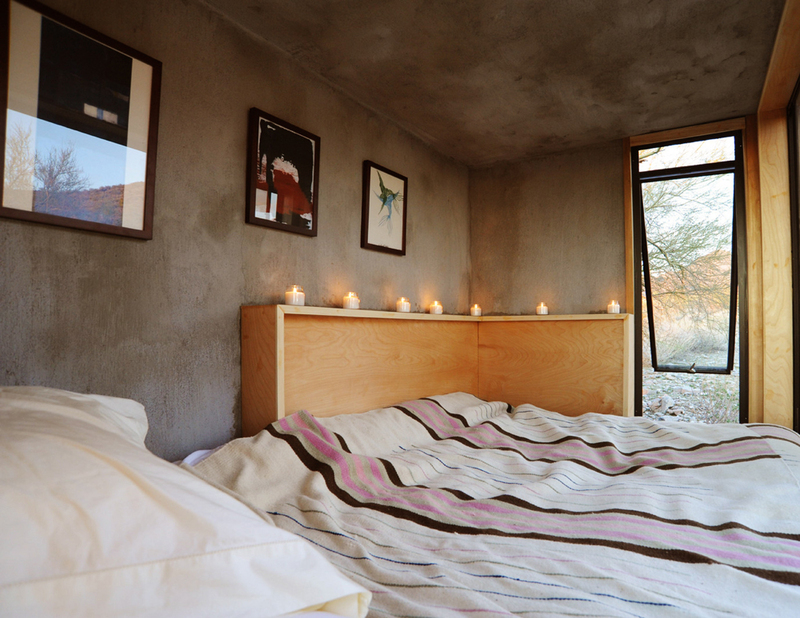 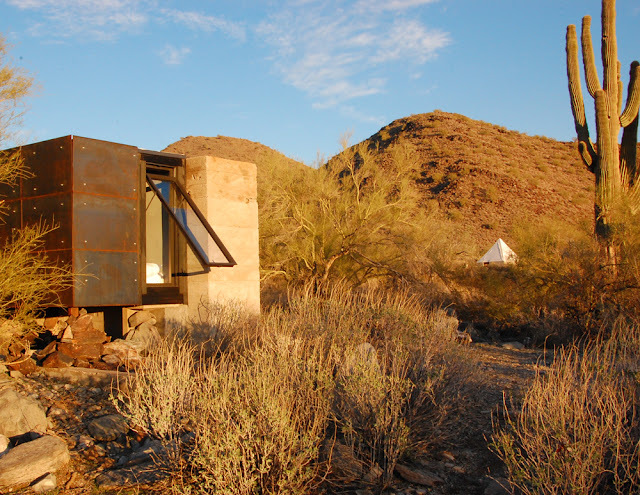 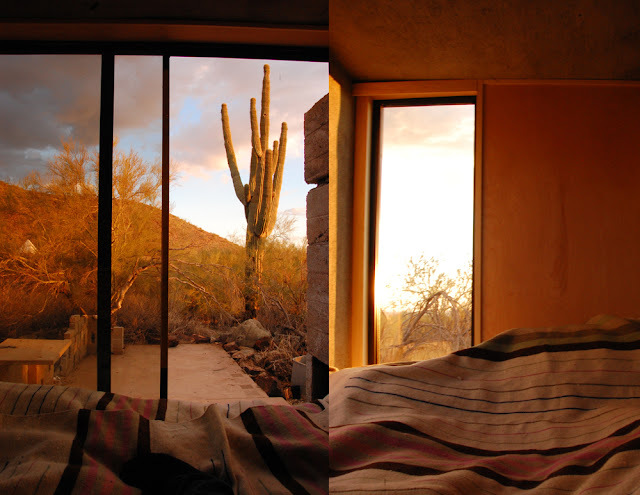 Designed by Dave Frazee, the Miner’s Shelter is a 45 square foot desert dwelling in Scottsdale, Arizona. 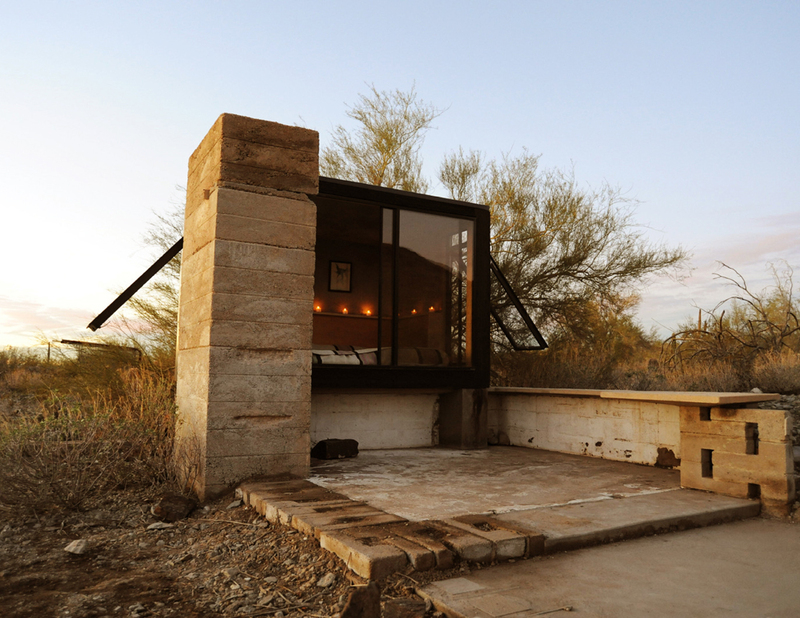 The shelter is built over the ruins of a previous structure, and used the existing concrete pad and chimney mass as part of the new building. 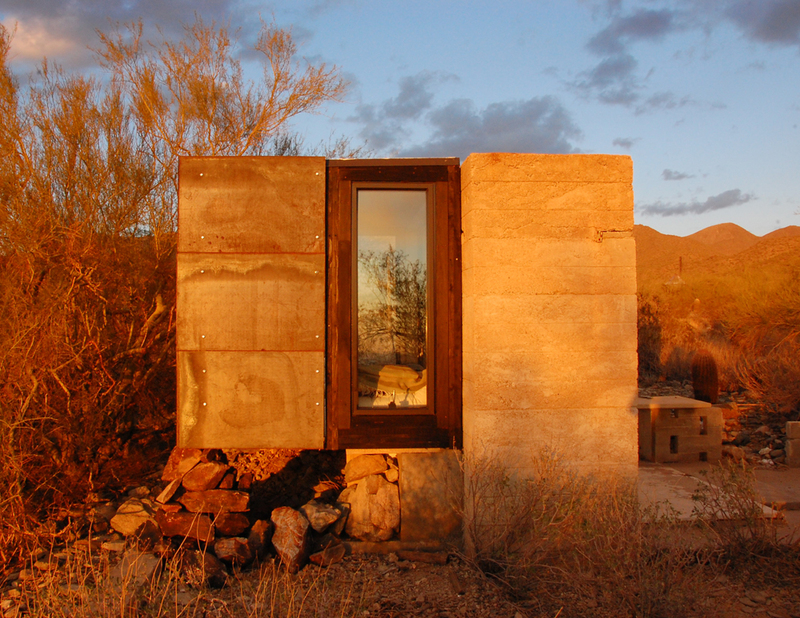 It was also designed for air to naturally vent throughout the area to keep it cool in the hot Arizona desert. The shelter was built in December 2011 as part of a project by David for Taliesin’s Frank Lloyd Wright School of Architecture. 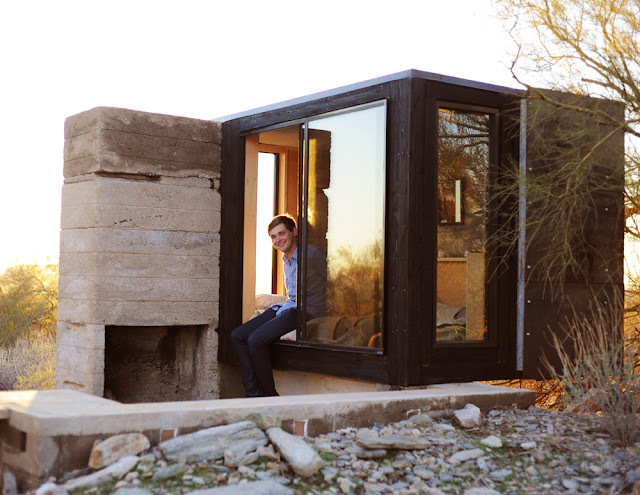 He has since moved on to his own architecture firm in Philadelphia called Broken Arrow Workshop.